Since 1983 Two Below Zero has been a family-owned business in Summit County. They will treat your family like family and treat you to a wonderful Rocy Mountain vacation experience. The company focus is on quality, customer satisfaction and personal service. Guests return year after year to step back in time and experience traditional, turn-of-the-century sleigh and wagon rides. 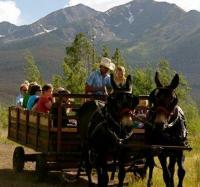 Rides include a memorable old-fashioned dinner experience with homemade meals and family-oriented entertainment. Come see "the family" at Two Below Zero for the ultimate theme dinner experience. 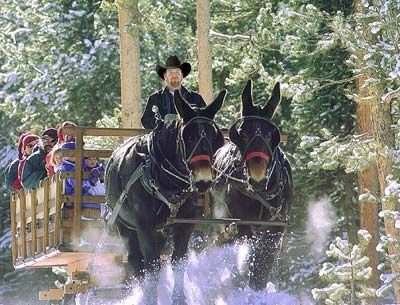 Rated #1 Sleigh Ride in America!